British big cats, German big cats, Danish big cats, French big cats. Every European country seems to be reporting sightings of mysterious, large, often black cats nowadays. Of course, in the vast majority of cases, these are either hoaxes or misidentification, the fact that melanistic animals are most often reported, despite being far rarer than individuals of normal colouration, should itself be a clue to this reality. Whatever the case. some of these sightings have possibly been of real big cats. 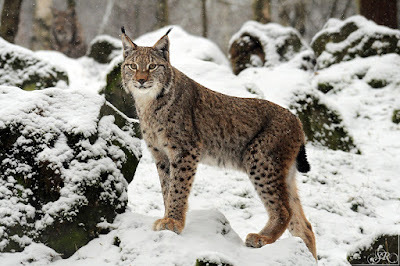 In central Europe for instance, lynx are fairly widespread, and to a person unfamiliar with the animal, could quite convincingly appear as a leopard or jaguar. These sightings are less tenable on the British isles, but even in Scotland wildcats are present, if barely, and hybrids between them and domestics are often significantly larger than your average housecat. Barring the occasional zoo or circus escapee however, the only true big cats to be encountered in present day Europe is the aforementioned lynx. But this was not always the case. 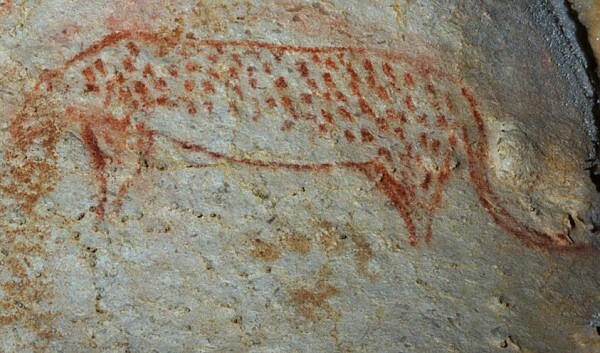 Today I will be talking about the history of big cats in Europe since the last interglacial, their distribution, diversity, success, and eventual downfall by way of spears and bows. Our story begins during the last interglacial, also known as the Eemian, 130,000 years ago. This period was something akin to Europe's garden of eden, a place unspoilt by modern man, where elephants and rhinos roamed alongside deer and elk. Romanticism aside, it was indeed a magnificent time, also for the big cats. During the Eemian, Europe was home to 4 different big cats, the leopard, the lynx, the lion, and the scimitar cat(Homotherium). Of these, the latter is now completely extinct, but the others persist in Africa and Asia. The Leopard was absent from the northernmost regions, but the other 3 were present all throughout Europe. When the ice age finally arrived, it did not have a large effect on the cats. The leopard was restricted to the southern refuges, Italy and Spain, like most of the other temperate species at the time, but remained fairly common. The lynx too was forced back, not directly because of climate, but rather due to their ecological niche. Lynx are forest animals, and do not do well on tundra. The lions and scimitar cats however remained in northern Europe, right up to the glaciers. There they shared their habitat with a variety of other large predators, including wolves, bears, hyenas, and dholes. This was the case for the majority of the ice age, up until 50,000 years ago, when modern humans first arrived on the continent. Shortly after, the scimitar cats promptly disappeared throughout most of their range. Typically thought to have died out around 40,000 years ago, newer findings have shown that scimitar cats at least occasionally entered Europe as late as 28,000 years ago. Leopards were also hit hard, though their decline was slightly more prolonged, they had gone extinct throughout much of the continent by 10,000 BC, but persisted for significantly longer in the eastern and southernmost parts, although the eastern populations in particular may represent later immigrants instead of relics of the original European leopard population. Thus we turn to the two most resilient big cats in Europe, the lynx and the lion. Of the lynx, their story is relatively uncomplicated, as they have persisted until the present. Shy forest animals, they had an inherent advantage towards surviving in a human dominated environment. The rest of this article will be focusing primarily on the lions, for it is their story that is truly fascinating. As stated above, lions have been present in Europe for as long as all of the continent's other fauna, but what makes them so interesting is how long their lasted. The European subspecies, P. l. spelaea, survived as late as 10,000 years ago, 4000 years after the end of the ice age. Adaptable and widely distributed animals, their ability to persist may have been down to raw strength and tenaciousness. But resilient as they were, 10,000 years ago lions do indeed seem to have vanished from Europe. Normally this would be the end of the story, just yet another species wiped out by humans, but in this case something unusual happened. Several thousand years after having seemingly died out, lions suddenly reappear in Europe. Remains from Hungary have been dated to around 7000 years ago, and are some of the earliest of what I will refer to as the "late" European lions. After their reappearance, lions once again became fairly widely distributed, from southern Central Europe through the Balkans including all of Greece and possibly northern Italy. They did not manage to make it back into the northern parts of the continent however, for reasons we may never know. For the next several thousand years, lions remain a constant part of the European bestiary, and would have been intimately familiar to the people who lived alongside them. Despite this however, we in the 21st century still do not know particularly much about them. The most pressing question concerning the "late" lions is whether they actually represented a late surviving population of P. l. spelaea, or belonged to another subspecies that immigrated independently. Currently the bulk of the evidence points towards the latter. 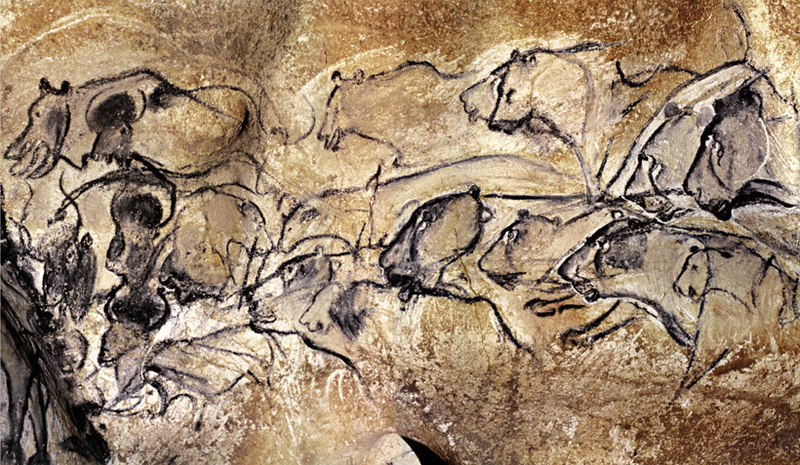 To begin with, if these really were late surviving "cave lions", where did they come from? spelaea was not distributed very far outside of Europe, making it unlikely that some yet undiscovered refuge existed in Asia. On top of this, what limited range they did have outside of Europe was quite far north, in what is now western Russia, but the "late" lions clearly came from further south, probably the middle east, not some central Asian region. Yet another mark against the "spelaea hypothesis" is that ice age cave paintings exclusively portray maneless animals, while Greek art clearly shows animals with manes. 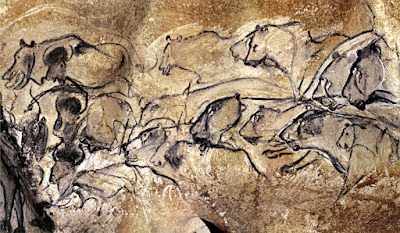 Considering how many of these cave paintings we have, it is improbable that they were all meant to be females. In conclusion, I find it most probable that the "late" European lions were members of Asiatic lion subspecies, which was distributed into Turkey nearly until the 20th century. Turkey is also the place the "late" lions most likely came from, further supporting this idea. Whatever their origins, one thing we can state for certain regarding the "late" lions is that, at least for a time, they were quite successful. Exactly why they were capable of spreading into Europe at a time when hunting pressure was at an all time high is not known, but it may be that the lions from Turkey were especially well adapted to humans, as evidenced by the fact that they persisted there until just 100 years ago. But as can probably be deduced from their absence today, they did eventually go extinct in Europe. Again. 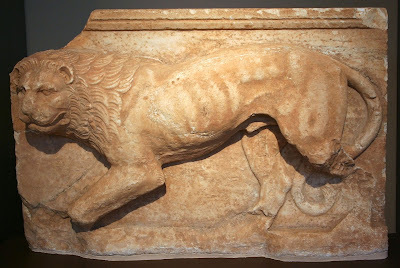 Lions were still present in Greece during the 1st century BC, but were reported as rare, and had already died out everywhere else. The last ones probably died sometime shortly after the supposed birth of Christ. 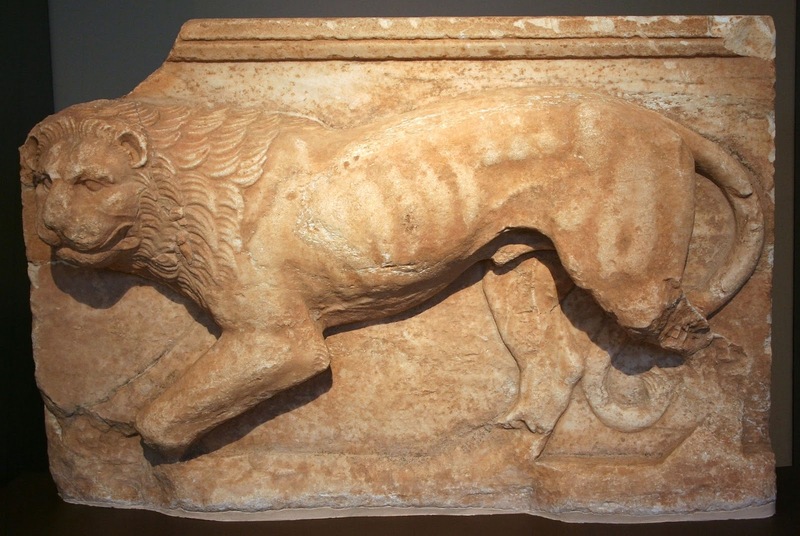 it should also be noted that the lions used in the Colosseum by the Romans were not in fact from Greece, but instead imported from Tunisia, and belonged to the now also extinct Barbary lion subspecies. As far as we know, this was the end of big cats(other than lynx) in Europe, unless one counts the Caucasus, where small numbers of leopards persist even today. There is no evidence for any populations of other species after this point. And where does this leave us? Today big cats are in trouble world-wide, even in their African stronghold. Poaching is an increasingly prominent issue, and habitat loss is accelerating. While it would undeniably be difficult, and while many tribulations would lie ahead, perhaps it is time for Europe to re-embrace its lost heritage, if only to save them from extinction globally. I have thought Europe could do with re introducing lions & leopards.Why is Africa portrayed as a natural habitat for large felines but not Europe? Asia has lots of cats of different sizes also. When Europe Was An Ocean is a blog about zoology and ecology, covering both prehistory and the modern world, with a strong focus on conservation along with paleontology.